Tankless water heaters (also called continuous flow, on-demand water heaters) have become very popular. Tankless water heaters heat the water instantly as it travels through the machine. The device does not retain water except for the water that is already in the coil (for heat exchange). If you want to install a tankless water heater or even repair/maintain it, call American Specialty. Tankless water heaters have revolutionized water heaters. They can produce more hot water compared to conventional water heaters. They are also less bulky and the latest models will use less energy than typical water heaters. When someone opens a hot water tap or turns on a switch, the water heater's turbine will sense that the water is flowing and will immediately start heating the water passing through. There is a control board inside the heater which determines the final temperature of the water depending on factors such as the temperature of the water coming in and the temperature needed (set on the controller). Depending on these factors, the burner assembly is fed with modulated electricity or gas flow. A copper heat exchanger heats the water to the desired temperature, as it passes through, to give a continuous flow of water. When you turn the switch off or turn the tap off, the heater also shuts down. It goes into standby mode till it is required again. Tankless hot water heaters are significant pieces of electrical equipment. You will need the services of a licensed contractor who can handle the plumbing, electrical, and gas venting aspects of the heater. The contractor must be aware of the local/national codes. Getting your heater installed by non-licensed professionals can affect the warranty. 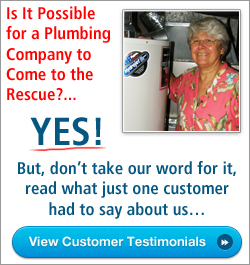 Homeowners from New Jersey can call American Specialty to install, maintain, or repair their tankless water heaters. Tankless hot water heater requires little maintenance compared to typical heaters. There are basically two types of services that your service technician can perform in this regard. He will check the screen filter (in-line) to remove debris and flush it periodically to free it from lime and scale. A good quality tankless water heater can last you for close to 20 years on just periodical maintenance.